PKR will not let go of this issue so easily. Certainly they will be an investigation by the relevant authorities an aides close to the Chief Minister Adenan. How the AXE COMES DOWN on those responsible is not in our hands and we know for a fact that CM Adenan will not let up until he smoke those responsible out of their FOXHOLES. We know Adenan “has a very Fierce Face” when he mentioned it in his 100 days Interview. But beneath his face he has a kind heart but when he is angered he doesn’t show unlike the “HULK” but he will investigate it fully. He for one does not want to see any divisions within PBB and to those who thinks that they can DERAIL HIS PLANS through this they must have tuned into the WRONG CHANNEL. This we extracted from Adenan. We are sure that he will not let up on this matter or else his good work will just be flushed out in an instant. At a press conference to mark his 100 days as Chief Minister, he said racism and religious intolerance were “not in character with the people of Sarawak”. “We have lived harmoniously all these many years and it is my responsibility to see that we, people of all races and culture, continue to live harmoniously together,” he said. This is the strongest yet from CM Adenan,”One way to safeguard the harmony in the state, he said, was to keep religious fanatics and racists “of all colours” out. HONESTLY, DO YOU THINK ADENAN WILL NOT TAKE ACTION ON THIS ISSUE..? 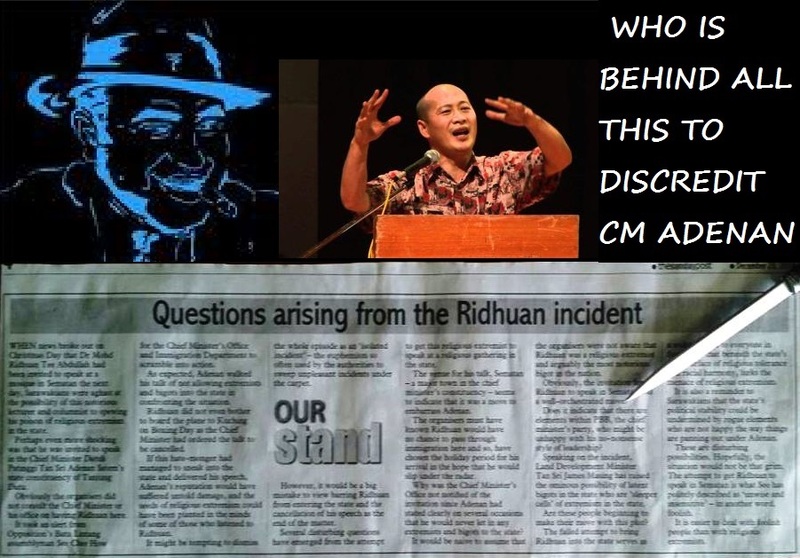 Ridhuan Tee Abdullah “I say Old Chum, WHO PAID YOU..? 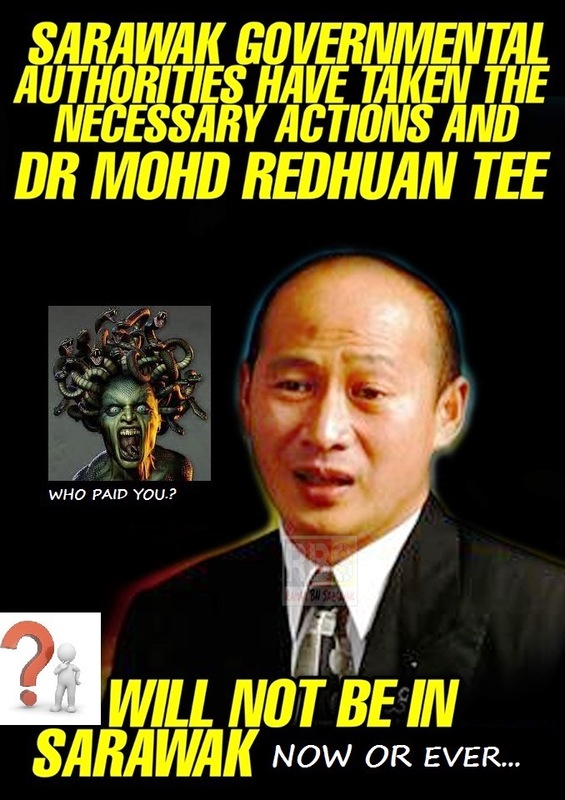 Ridhuan may we remind you that its not the PKR YB See or BN YB James who has done the damage. Its the normal SARAWAKIANS who are colourless,non-racists,non extreme and LOVE SARAWAK so much that has done all these to you. If you do not believe it you are welcome to have a word with us at audie61. 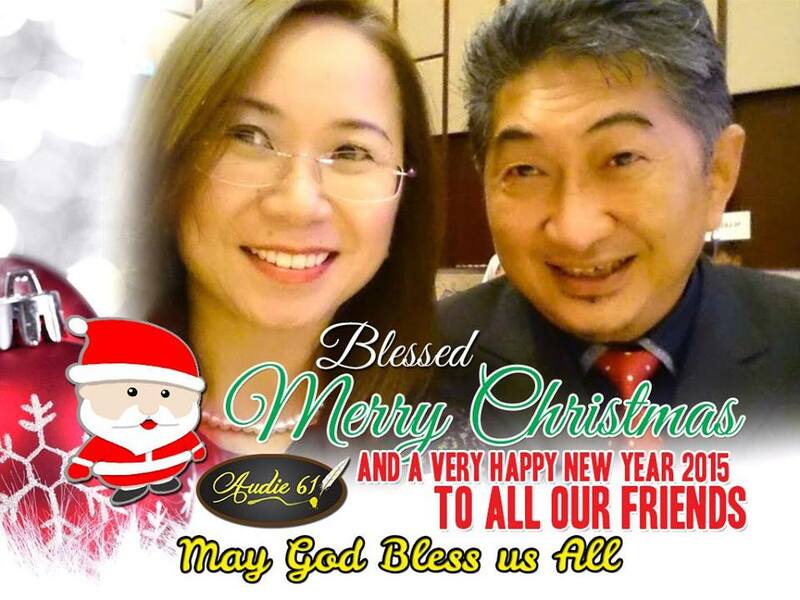 Remember audie61 has also a defender of the faith in a person of Athanasius may I quote “He is probably the man to whom we chiefly owe the preservation of the Christian faith.” Ridhuan please remember HISTORY before us and do not just simply harp as you wished and there are many too who are just waiting for the right time to give you a piece of their mind to you. God works in many wondrous ways and his miracles will strike at the appropriate time when you least expect. A Dr. of your calibre and to us you are just an “CAS” which in cyberspace we fondly call “Cyber Attention Seeker” we will not even run away from an intelligent discourse with you on the subject matter of Racism,Extremism nor Religious Beliefs” That path we have gone down before in the 80s when Racism and Religious Extremism was at its height. Look at the Mirror beside you and tell me what you have not done….!!!! We want to wish you and your family all the happiness and joy of Christmas. We also hope that you will be able to spend quality time together with your LOVED ONES. May this festive season and the coming New Year 2015 bring you comfort,joy,peace and Prosperity throughout.